and attention to detail that will help assure your project epic success. 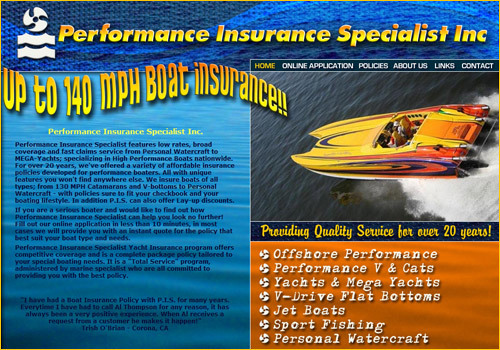 Performance Boat Insurance offers insurance for high-powered speed boats. Their site includes an online insurance application as well as company information. I designed their website and logo through my company MotorSites.com.